Do you want a chance to win some cute cupcake liners? I just want to remind everyone that comments must be submitted by Saturday, May 7, 2011 midnight for a chance to win the cupcake liners/papers. To enter, simply leave a comment below telling what you would do with them if you win! Remember to leave your email address (it won’t be published) so that I can contact the winner. My daughter is getting married in September and we are having her bridal shower in July. 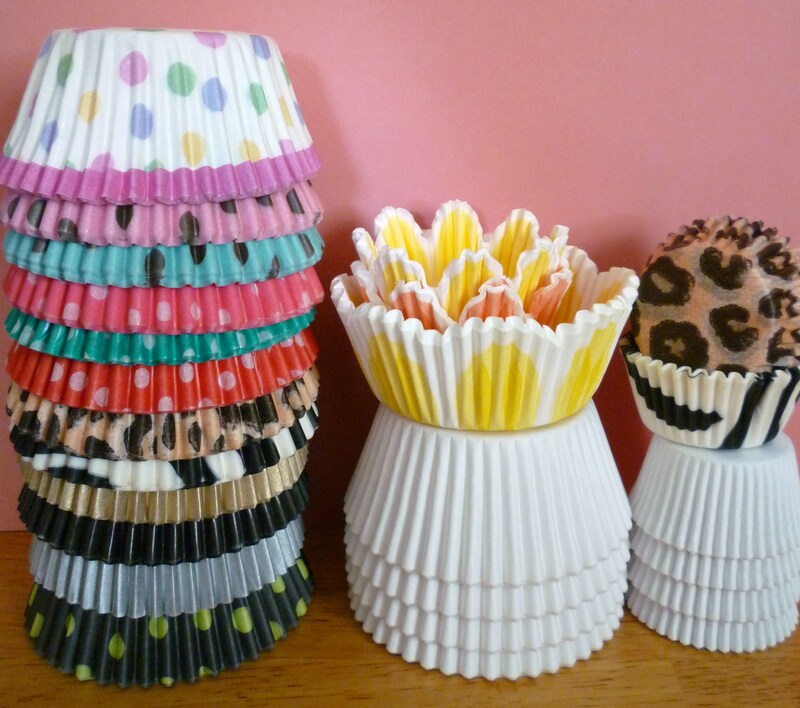 What I thought of doing is using the cupcake liners – especially the flowered ones – but any one of them would work in egg holders (like what you would use at Easter to hold the hard boiled eggs) and use them as party favors. ~ add a small piece of earthquake putty to help hold the liner in the egg holder. ~ In the inside of the liner, I would add green raffia for the base and hidden among the raffia would be a cork (also attached with small piece of earthquake putty if needed) I would insertgreen wire made to look like a stem and petals and then add a flowered Swarovksi Crystal Brooch on top. So the entire table will look like glittering flower pots and the guests get to take home a pretty favor they could use forever! Those are really cool. If I win them I would ask my awesome Aunt (Brenda) for ideas of what to do with them 🙂 Because she is rocks when it comes to decorating. If I were a centipede, I would use a different cupcake wrapper on each ear as a hat – how pretty would I look!! And the people at the Royal Wedding could learn a thing or two about hats from the wrappers!! I would use these for my grandchildren’s birthdays! they are awesome and so cool! they would love them! What a cool grandma you must be! Please note that this giveaway ended some time ago.